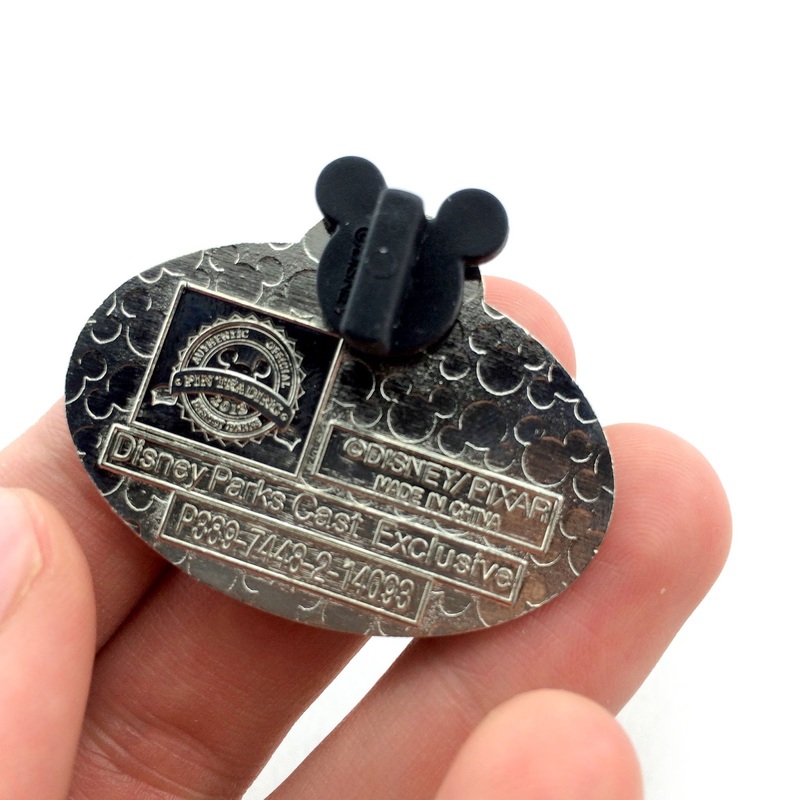 Last month, my wife Brita and I had the awesome opportunity to go to a Disney cast members only store called the Company D-Team Center (a big thanks again to our good friends Adrianne and Kristin). 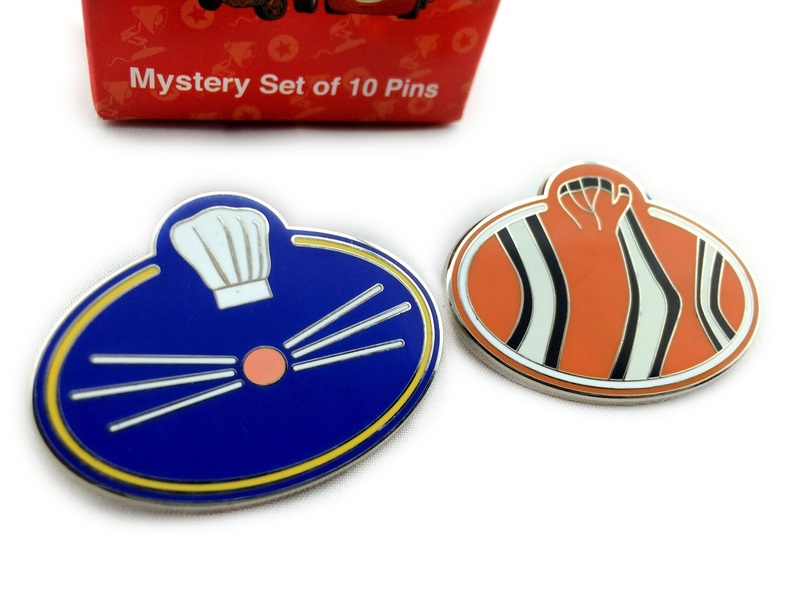 While browsing, I stumbled across an awesome set of Pixar mystery pins that I hadn't ever seen before! They're called "What's My Name?" 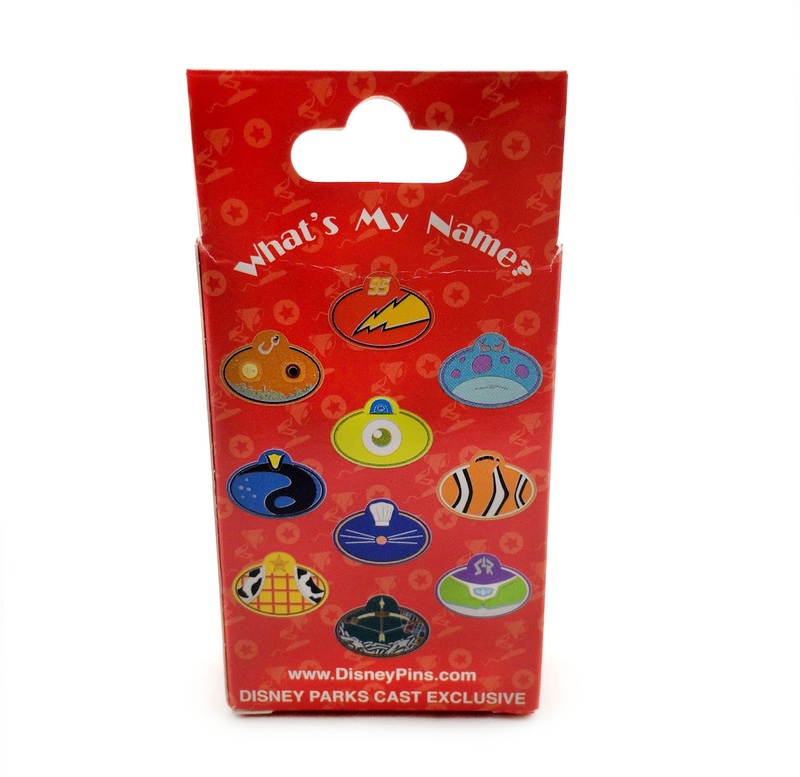 It turned out that the pins were only available to cast members in 2014, hence the reason they're the iconic shape of a Disney Cast member name badge. There are 10 pins total in the series representing six Pixar films: Cars, Monsters, Inc., Finding Nemo, Ratatouille, Toy Story and Brave. 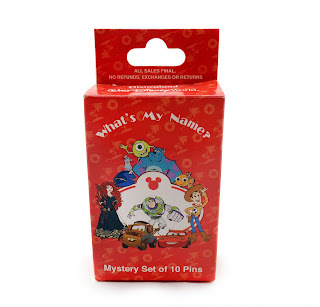 While I'm not really an avid Disney pin collector, this set stood out because of its rarity and exclusivity. Our friends Adrianne and Kristin there saw how much I loved these pins during our visit, so they actually surprised me with a set while we were there (I couldn't actually buy them since I'm not a cast member)! It was very generous and beyond awesome of them. I excitingly opened up the blind box to see which two pins were included with mine. I ended up getting the very awesome Ratatouille and the Brave ones. While I liked the Brave pin perfectly fine, they actually had the Finding Nemo one there in the trading box available...so I ended up trading for that one which I liked a bit better! Now, knowing the completist in me, I'll probably end up trying to track down the rest. They're just too cool! Wish me luck. If you're interested in collecting this set as well, be sure to check out eBay. There's a few on there right now and more seem to pop up every now and then. Please let me know if you have any questions or comments and I'll do my best to help!